After Texas Sen. Ted Cruz suffered a stinging defeat in Indiana Tuesday night and dropped of the Republican race, and after Republican National Committee Chairman Reince Priebus declared Donald Trump the party's presumptive nominee, John Kasich was barely even an afterthought. However, the Ohio governor was still technically in the race. That changed less than 24 hours later, though, when Kasich officially suspended his campaign. At a press conference in Columbus, Ohio on Wednesday, Kasich formally ended his run. "Throughout my campaign, I said the Lord may have another purpose for me," Kasich said. "I have always said that the Lord has a purpose for me, as he does for everyone, and as I suspend my campaign today, I have renewed faith the Lord will show me the way forward." Kasich withdrew from the Republican race having failed to muster as many delegates as Marco Rubio, who dropped out nearly two months ago after a loss in his home state of Florida. Kasich soldiered on through the primaries, despite never really being considered sufficiently popular to even nip at the heels of Trump. 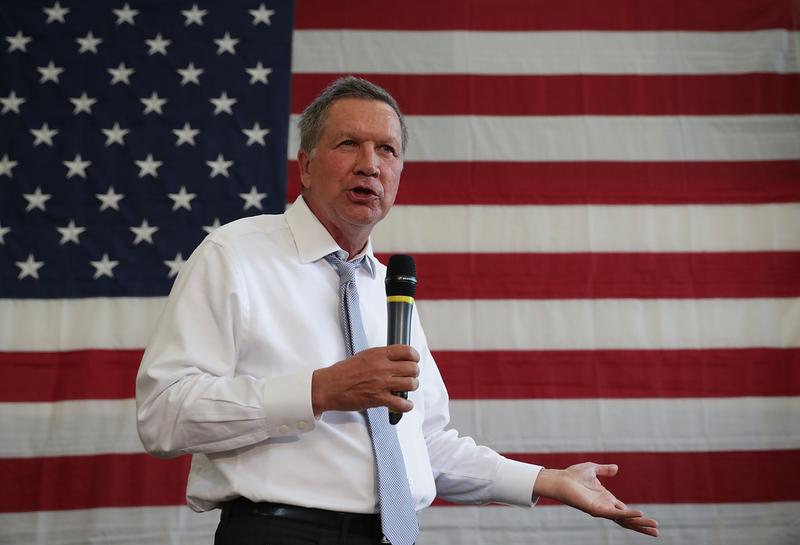 Other than his home state of Ohio, Kasich failed to ever come up on top in a state primary. In Iowa, he failed to finish even among the top six Republican candidates, yet he managed to long outlast far more prominent ones like Ben Carson, Carly Fiorina, and Jeb Bush. Lasting isn't winning, though, and hanging on isn't the same as actually gaining momentum. While Cruz sometimes enjoyed a few big wins that made him the ultimate leader of the anti-Trump movement among Republicans, Kasich was never really considered a viable general election prospect.